Sat., July 14, 2018, 1:47 p.m.
SALEM – Members of the Warm Springs Hotshots were getting ready to head home when the radio buzzed – a wildfire had started – and the elite crew launched into motion to tamp down the blaze in the sagebrush of eastern Oregon’s foothills. The blur of activity in late June would be familiar to every wildland firefighter, but the Warm Springs crew is one of only seven Hotshot crews based on a Native American reservation and overseen by the U.S. Bureau of Indian Affairs. It’s also one of only four administered directly by a Native American tribe. The country’s more than 100 Hotshot crews – consisting of about 20 members each – are trained to work in remote areas for long periods and often respond to large, high-priority wildfires. Members must pass arduous physical tests and undergo training in specialties like fire behavior. For those based on Native American reservations, the Bureau of Indian Affairs has a hiring preference that selects tribal members first. Most Warm Springs Hotshots belong to one of the three Confederated Tribes of Warm Springs and live on the sparsely populated reservation about 100 miles southeast of Portland. “As a Native crew, we’re representing Native people when we’re going out,” said Renso Rodriguez, the crew’s assistant superintendent. Darron Williams, a Hopi tribal member and head of fire prevention for the Bureau of Indian Affairs in the Pacific Northwest, put it another way, describing modern prescribed burning techniques as tying into traditional understandings of the role of fire – and people – in the ecosystem. Glenn Smith was a supervisor on the team in the late 1980s and early ’90s, shortly after it gained the elite status. Back then, Smith recalled, the crew’s members stood out – and were sometimes singled out, arriving at fires to find themselves assigned work normally reserved for less-qualified crews. 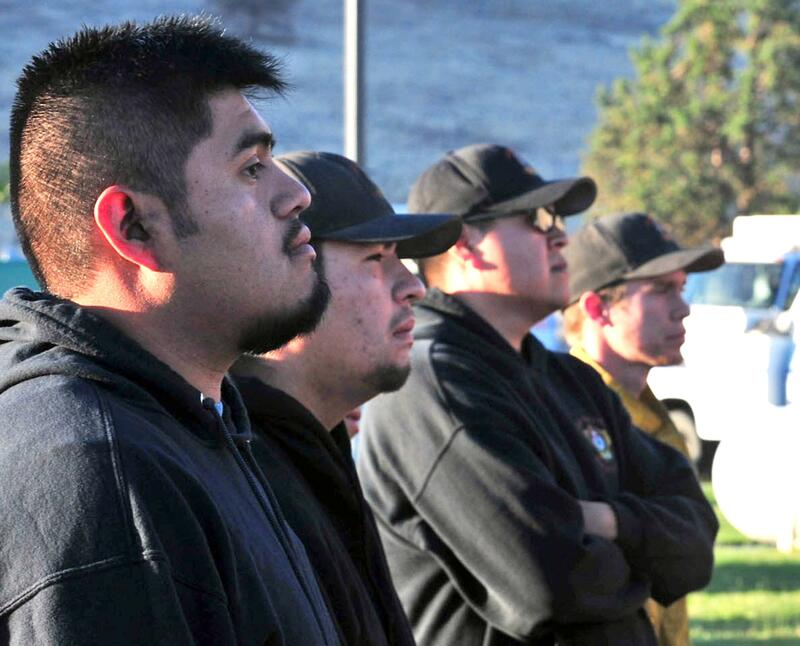 Overwhelmingly, members described the Warm Springs Hotshots’ unique identity in positive terms, as a commonality that draws the group together and connects it to the tribal community. It’s not uncommon to have relatives working on the crew – its members currently include a pair of brothers – or successive generations cycling through, Sampson said. “If the family wants to do it by hand and they ask the Hotshots to help them, they will,” Smith said. Published: July 14, 2018, 1:47 p.m.